Medullary Carcinoma is a unique and somewhat less-aggressive type of infiltrating ductal carcinoma. It is named according to its appearance, which resembles the tissues of the “Medulla oblongata” region of the brain stem. The term medullary derives from the Latin root ‘medulla‘ which means the ‘marrow‘, and the medulla oblongata is at the bottom of the brainstem where the spinal cord enters the brain, ‘between‘ the spinal column and the brain. There is no specific pathological reason for the name aside from this resemblance. This page is still really great for research material. However, we have created a newer version of this page with more up-to-date information on Invasive Medullary Carcinoma. Check it out! Statistical aspects of Medullary breast cancer. Medullary carcinoma is uncommon, representing about 5% of all breast cancers. It can develop any age, but more commonly affects women in their late 40s and early 50s. It is slightly more common for women who carry the BRCA1 mutation. For unknown reasons, medullary breast cancers is more common in Japan than in North America. Medullary breast cancer tends to occur in only one breast, but approximately 3-18% of patients may develop multicentric tumors. Medullary carcinoma is often revealed during a mammogram as a small, clearly defined lump. But, a specific diagnosis of medullary breast cancer only possible after a needle biopsy and histological evaluation. There is some discussion as to what constitutes a ‘true‘ medullary carcinoma, ‘atypical‘ medullary carcinoma, or simply ‘infiltrating ductal carcinoma‘ (sometimes called NOS, or ‘no specific type‘). Medullary Carcinoma is generally believed to be a slow-growing, somewhat fortuitous form of breast cancer, which really ought to have a low-to-medium cancer grading. The clinical behavior contradicts somewhat its morphology, and presents a kind of ‘biological paradox‘. Genetic and pathological characteristics of medullary breast carcinoma. Medullary carcinoma is highly characterized by the pretense of lymphocytes, which arise as an immune system response to the cancer. These lymphocytes, which are essentially white blood cells, tend to congregate around the periphery of the tumor. Whether or not lymphocytes are beneficial in combating breast cancer is open to debate, as sometimes lymphocytes can harm normal body tissues. With medullary carcinoma, however, the lymphocytes are thought to be helpful. Medullary carcinoma is also found to have certain genetic and hormonal characteristics, including estrogen receptor (ER) negative and progesterone receptor (PR) negative status, and human epidermal growth factor receptor 2 (HER-2) negative cells. However, recent studies suggest even this distinction is vague, and describe medullary carcinoma to be genetically heterogeneous. The histological definition of medullary breast cancer appears to be in flux. The ‘classic‘ histological appearance of medullary carcinoma is a syntactical growth pattern, poorly-differentiated structures, with a high mitotic (cell division) rate. Additional classifications since that time have tended to focus on genetic aspects, and if a new classification system is eventually adopted, it would likely be informed by genetic features more than traditional observations of the tumor. For the moment, however, if pretty much all of the above features are present, (including one from each of the five main categories) the cancer is termed ‘true‘ medullary carcinoma. If one or two elements are missing it may be termed ‘atypical‘ medullary carcinoma, and if several features are missing or ambiguous, it may simply be called ductal carcinoma (NOS). There appears to be some degree of confusion in the literature surrounding medullary carcinoma as to whether or not the cell structures are classified as ‘well-differentiated‘, or ‘poorly-differentiated‘. A cell that has enough functioning normal DNA to form a specific type of tissue, and behave like that tissue, is “differentiated“. A cell that has so many mutations, that it forms hideously distorted tissues, is poorly-differentiated. To put it another way, human growth results from our DNA instructing a ‘stem cell‘ to change itself into a particular tissue or function. In that sense a stem cell is un-differentiated; it can be anything. “Well-differentiated” would imply that a cell’s DNA is sound and it managed to form a particular tissue or cell-type pretty closely. The term ‘poorly-differentiated‘ from a genetic perspective suggests that a cell started out intending to form a particular tissue, but was unable to successfully carry out that transformation, forming instead some kind of unwanted genetic mutation. Various descriptions of medullary carcinoma describe it as being either well-differentiated or poorly-differentiated. A possible reason for this confusion might simply be the tendency to address a professional in one way and a layman in a different way. Clearly, medullary carcinoma is poorly-differentiated according to the literal medical meaning of the term. However, a physician or other source may use the term ‘well-differentiated‘ to a layman in order to convey a sense that the cellular formations within a given tumor are ‘very different‘ from healthy cells. A curious feature of medullary carcinoma is that, according to histological risk grading procedures, it tends to receive a medium to high grade. High grade carcinomas are considered more likely to metastasize and carry a poorer outlook, but medullary carcinoma is actually a fairly mild breast cancer in terms of prognosis, in spite of the histological profile. 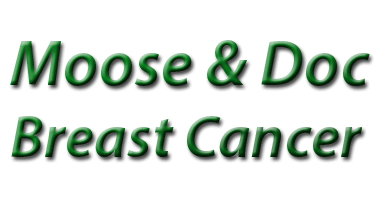 Since lymph node metastasis is less likely for medullary cancer when compared with other types of infiltrating ductal carcinoma, it provides more options for treatment. In most cases, chemotherapy is indicated as the most favorable treatment option. Adjuvant hormonal therapies may be another approach, depending upon the hormonal receptivity indicated in the tumor. Medullary carcinomas generally have a better prognosis than other breast cancers of similar grade, but they also often show basal-like biological characteristics. Basal-like tumors (which tend to be ‘triple negative‘) tend to have a poorer prognosis. Survival rates for true medullary carcinoma tend to be higher than for ‘atypical‘ medullary carcinoma, which are in turn still higher than for non-specified ductal carcinoma. Overall, the prognosis for medullary carcinoma is generally very good, with a 78% five year survival rate. For stage I women the 20 year survival rate is around 95%, and about 62% for stage II cancers. Please visit this page on more information about cancer stages. How common is medullary breast carcinoma? It actually is a rare type of breast cancer, accounting for around 3-5% of all breast cancers. What does “invasive” cancer mean? This means that this type of cancer has the potential to spread to surrounding tissue and to other parts of the body, although this is uncommon. 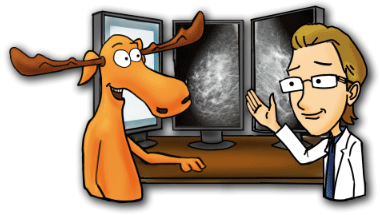 Who gets medullary breast cancer? This type of cancer is more common in women who inherbit a faulty copy of the BRCA1 gene. It can also occur in men but this is very, very rare. How is medullary breast carcinoma diagnosed? It is diagnosed using a range of tests including physical examination of the breasts, a mammogram an, an ultrasound, followed by a core biopsy or a fine need aspiration to remove some of all of the lumps to look at them under the microscope for further investigation. How is medullary breast cancer treated? Surgery (breast-conserving or mastectomy), Adjuvant additional treatment (radiotherapy, chemotherapy, hormone therapy, or targeted therapy. What are the known signs & symptoms of medullary breast carcinoma? Like other types of breast cancers, medullary carcinoma may not cause any symptoms at first. Over time, a lump can form, and it may be soft and fleshy or somewhat firm to the touch. Most medullary carcinomas are small (less than 2 cm in size). Medullary cancer also may cause pain, swelling, redness, or tenderness in the breast. What the most important features that a pathologist looks for? A clear, well-defined boundary between tumor tissue and normal breast tissue, large-sized cancer cells with high-grade appearance, immune system cells, hormone-receptor-negative, and HER2-negative. Kuroda H, Tamaru J, Sakamoto G, Ohnisi K, Itoyama S. Immunophenotype of lymphocytic infiltration in medullary carcinoma of the breast. Virchows Arch. Jan. 2005. 446 (1): 10–4. Ridolfi RL, Rosen PP, Port A, Kinne D, Mike V. Medullary carcinoma of the breast: a clinicopathologic study with 10 year follow-up. Cancer. 1977 Oct;40(4):1365-85. Eichhorn JH. Medullary carcinoma, provocative now as then. Semin Diagn Pathol. 2004 Feb;21(1):65-73.
de Cremoux P, Salomon AV, Liva S, Dendale R, Bouchind’homme B, Martin E, Sastre-Garau X, Magdelenat H, Fourquet A, Soussi T. p53 mutation as a genetic trait of typical medullary breast carcinoma. J Natl Cancer Inst. (Apr. 1999) r 7;91(7):641-3.